AI is often spoken about as a futuristic technology, but the truth is, it is already affecting our lives in ways we can hardly recognize: It's in our apps, our home voice assistants, our transportation systems, and much more. One futuristic technology driven by AI that will completely overhaul the way we live is the self-driving car. Autonomous vehicles are ushering in a new era of mobility. Their impact will be tremendous, from freeing up time to increasing productivity to reducing traffic fatalities. Moreover, the adoption of AI to enhance cars and navigation offers many lessons for other industries as well. In particular, these lessons are applicable to radiology. The biggest lesson radiology can learn from the auto industry is the structure of step-by-step AI adoption. 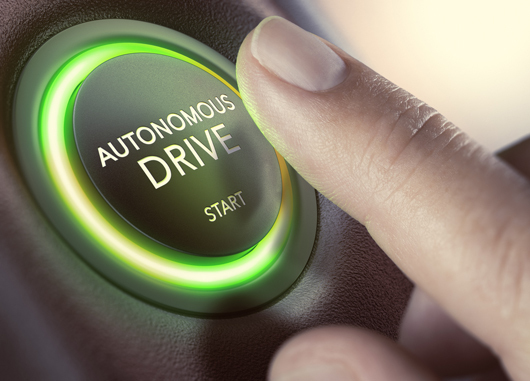 In the auto industry, autonomous driving capabilities are largely segmented into five levels, and I believe these levels relate to the varying degrees of AI used in radiology today. This level is where most older vehicles and the vast majority of radiologists are situated today. In levels 1 and 2, some automated features, eg, automatic emergency braking (AEB), stability control, and cruise control, are introduced, but a human is still in charge. Level 1 means the car can only work with one automated system at a time, while level 2 means that multiple automated functionalities can work in tandem. These first levels of automation are defined by systems such as AEB, in which the car can deploy brakes on its own if a collision is imminent, as well as lane keeping assist, which warns the driver and/or reacts by steering if the vehicle moves out of a lane. In radiology, these levels can be compared to automatic prioritization, computer-assisted detection (CAD), and computer-assisted diagnosis tools. Today, fewer than 1 in 5 new vehicles, even in developed markets, include AEB, but this is set to change. Safety regulators around the world are starting to include level 1 and 2 technology as a prerequisite for a vehicle to achieve a 4- or 5-star safety rating. In the field of radiology, very low percentages of the radiology community are actually using AI in their daily workflow. Aside from the relatively widespread MammoCAD software from Siemens Healthineers, radiologists are still doing manual interpretation for the majority of their workflow. Also, as the market moves towards more advanced ADAS systems, the driver still needs to be fully alert. Similarly, radiologists will still maintain full control of their workflow. AI will serve as a helping hand that enables them to be more confident and productive while remaining the sole decision maker. Level 3 automation refers to specific circumstances in which the vehicle can take over all driving functions. The low-complexity highway environment—all vehicles moving in the same direction, no pedestrians, no complex intersections—is the clearest example of this situation. At this level, all major functions, including braking, steering, and acceleration, are automated. The driver can fully disengage from driving until the vehicle indicates otherwise. Level 3 is where the vehicle crosses into true "autonomous capability," in which technology begins to enable substantial benefits beyond safety, including increased productivity. The transition from level 2 to level 3 requires substantial increases in functional safety levels and will result in major system redundancies. In some situations, the vehicle needs to ask the driver to reengage. Since the driver cannot be assumed to take control instantaneously, the system needs to ensure safety for a period of time while the driver is still not engaged, for example, to pull over and stop if the driver does not respond to repeated requests to reengage. This additional task would likely require additional sensors such as radar and lidar—for shape and object detection—and localization maps for identification of safe, drivable paths and knowledge of intersections and other traffic signage. Similarly, this might be the next step in radiology, although it will require a significant leap in technology to reach this level. One can imagine a radiology workflow where specific clinical conditions can be driven automatically by AI (eg, tuberculosis detection in X-ray studies) without confirmation from radiologists. This would obviously have to happen only when certain conditions are met, eg, only in certain clinical contexts. In most contexts, a trained physician or a radiologist would still have to look at the result. An example of this type of workflow is seen in many European countries, where the majority of X-rays are not even read by a radiologist. While not applicable to radiology, the recent approval of IDx for automatic detection of diabetic retinopathy exemplifies the introduction of level 3 detection/aid in health care. Still, there is an extremely long way to go towards a broad availability of such solutions. Even for a specific use-case, the level of comprehensiveness will be immense. One has to remember that, to date, hundreds of billions of dollars have been invested in autonomous driving—the recent $15 billion acquisition of Mobileye by Intel is only one example—and we still haven't reached this level for the majority of the driving population. Level 4 and level 5 vehicles are autonomous in all situations and driving environments, not just "under certain circumstances," as in level 3. In level 4, there does not have to be a driver because the vehicle is prepared for every situation and the human has moved from being the driver to just a passenger. Level 5 vehicles will not have a steering wheel or other human-used vehicle controls. While this level is very compelling for autonomous vehicles, I honestly don't see us reaching this level in radiology any time soon. This topic has been extensively written upon: The complexity of rare use-cases, combined with the variability of situations that require handling by radiologists, would make such a level almost technologically infeasible, at least in the near future. To appreciate this point, we must consider the difference in the training time for a skilled radiologist in comparison with a skilled driver. In addition, autonomous vehicles also face human trust issues when it comes to full automation: When are we really going to have complete faith in a computer behind our dashboard? While AI-integration within radiology does not affect the general public to the same degree as autonomous vehicles, it does face intense scrutiny among medical professionals such as doctors and administrators who wonder about the effectiveness, efficiency, and ethics of computerizing the readings of such critical medical images. That is why—much like in the auto industry—a gradual, step-by-step approach will go a long way towards allaying fears and fostering adoption. Public acceptance of self-driving cars will be measured in meters, not miles. The same should be true for AI-powered technologies in the medical realm. Today, AI solutions for radiology are barely scratching level 1. But, with the advent of innovation and the positive potential impact of AI augmentation, radiologists should expect to see more of level 1 and 2 in the near future. I believe the long-term vision for AI in medical imaging should stop at level 3 automation—the radiologist will still be in charge for the majority of cases, and AI can help them drive along the "highway" of simple use cases. AI's impact will likely result in increased productivity and, potentially, a reduction in the number of errors that today are caused by fatigue and time pressure. AI will give radiologists the time and space to focus more on the aspects of radiology that made them want to join the profession in the first place: diagnostics, patient care, and collaboration. Level 4 and level 5 automation is too far in the distance to even seriously contemplate. AI works best when it is teamed with human capabilities, not when it replaces them. Ultimately, radiology must adopt AI in a similar fashion to the automotive industry: driving forward in a smart and safemanner, while keeping AI in the right lane. — Elad Walach is the founder and CEO of Aidoc.